Take up the mahjong challenge by beating next levels at new game from GameDesire. Square up to other players at multiplayer mode or enjoy yourself at singleplayer mode. 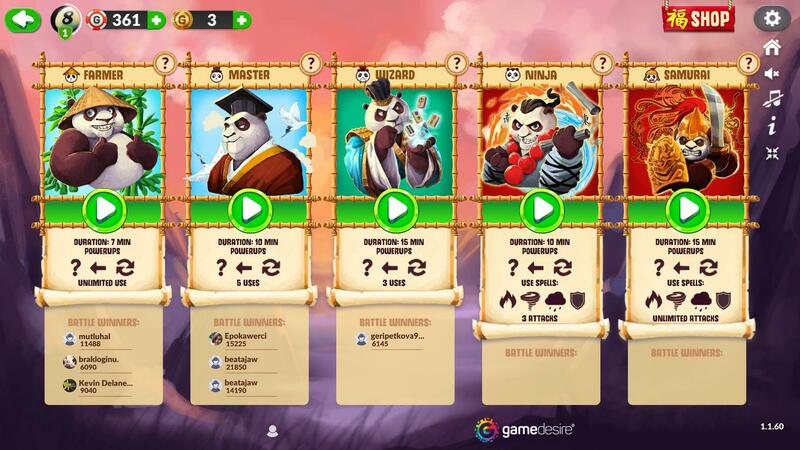 Gain perfect balance with power of fire, rain and tornado and use their force to beat opponents. 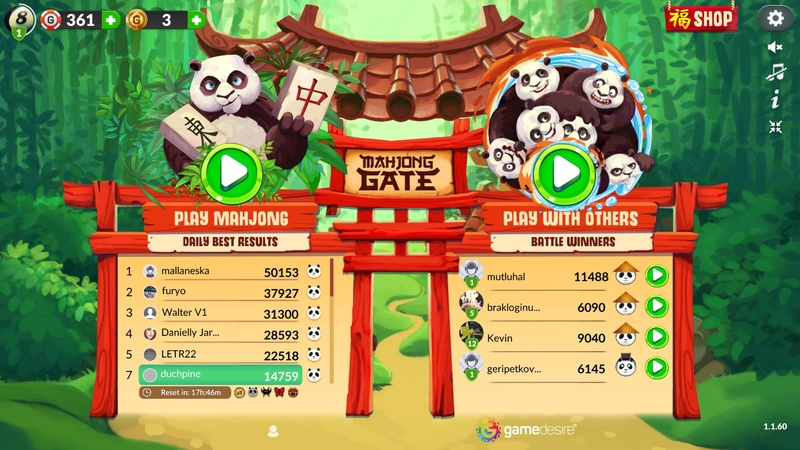 Play now at Mahjong Gate and experience amazing adventure. Mahjong is one of the most popular memory games on the internet. Not only does it improve your logical thinking, it will also ensure concentration and perceptiveness, which are essential qualities of a good player and even of a driver. Sit back and enjoy classic entertainment in the extended version of the digital version. Mahjong, a game originating in China, is also known as majiang and mah jongg. It is designed for four players. The essence is to match pairs of corresponding tiles. The game starts with 72 mixed pairs of tiles on the table, so 144 tiles in all. New players often associate this board game with the popular game of dominoes. Yet the two bear only passing similarity. The way of playing should rather be compared to rummy. Tiles for laying on the board were traditionally made from ivory, horn and bamboo wood. Today, unfortunately, these small pieces are made of synthetic materials. The game of mahjong is played on a board with several categories of tiles. Traditionally, there are five: simples, winds, dragons, flowers and seasons. The majority of simples (not associated with colors, but with symbols, as with playing cards) are divided into three groups of tiles. These are characters, bamboos and circles. These classic tiles are modified a little to meet the demands of the online games. Each revealed pair of grants you more points. How are the points scored? It all depends on the value of each set. This value is being multiplied by the number of pairs that remains on the virtual table. In mahjong online, the seemingly trivial gameplay trains our concentration, speed and percptiveness. 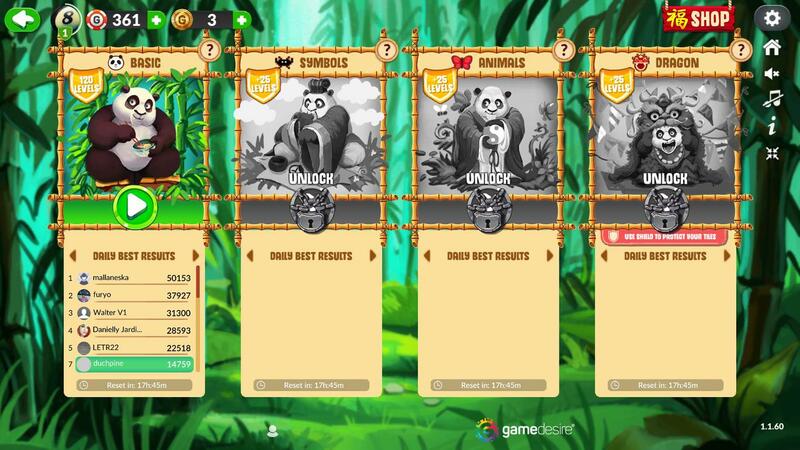 The GameDesire platform allows you to start the game alone or in a group, and points gained from experience allow you to play more effectively. Only you will determine the shape and course of the game that you begin. The game of mahjong enjoys enormous popularity. Such was the excitement that the game aroused at the beginning of the last century, that it encouraged the Chinese to recognize mahjong as an official tournament game. This popularity also led to the establishment of extensive rules and numerous tournaments around the world. Among the most popular are the International Mahjong Championships and the Mahjong World Series. Players of both sexes, individually or in groups, can take part in these competitions. In the first of these events, winning a title conveys upon the champion everlasting glory. The leaders are, of course, Chinese and Japanese, but it is worth noting the great interest of players from Europe. 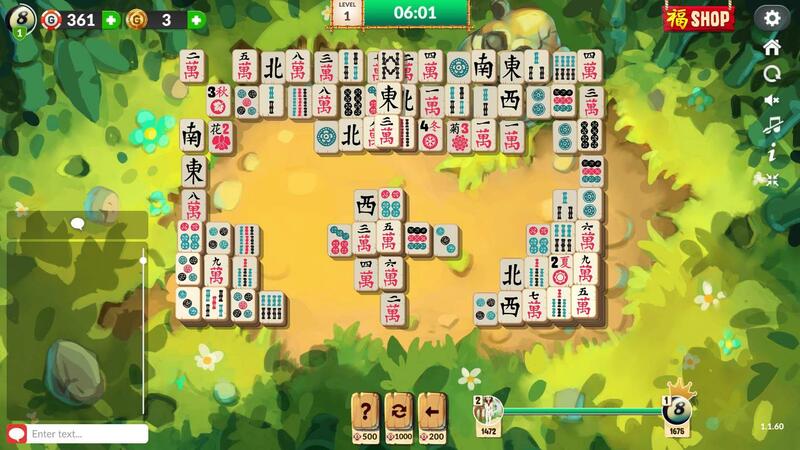 Players who make the podium in the Mahjong World Series enjoy a much better reward – this is a game worth the candle, as the champion can win up to half a million dollars. The European Open Mahjong Championship is the Europeans’ tournament. Shortly after the establishment of the World Championship, the inhabitants of the Old Continent decided to create their own event. Although the competitions are organized in Denmark, individual winners are of course Asians. On the domestic front, there is a thriving Polish mahjong league. According to Polish supporters, Kornel Makuszyński had already noted the Chinese variant of the game at the end of the last century. Unfortunately, mahjong was forgotten during the war. It returned only at the end of the PRL, but with a vengeance. Today, it is strongest in the form of online Mahjong. Log in to your account on the GameDesire platform. Select the type of game and the table at which you want to play. You can also create your own. Next, specify the time limit and options, among which you will find reshuffle and suggestions. The four available times are from seven to 15 minutes. Each level has a certain number of shuffles and suggestions. The first range between three and 12, and the latest have six, 12 or even 24. Then, join the table. Sometimes you might have to wait a while before starting a game with other players. The GameDesire platform is your space on the net. Here you will find a moment to forget, and time to de-stress after a hard day.